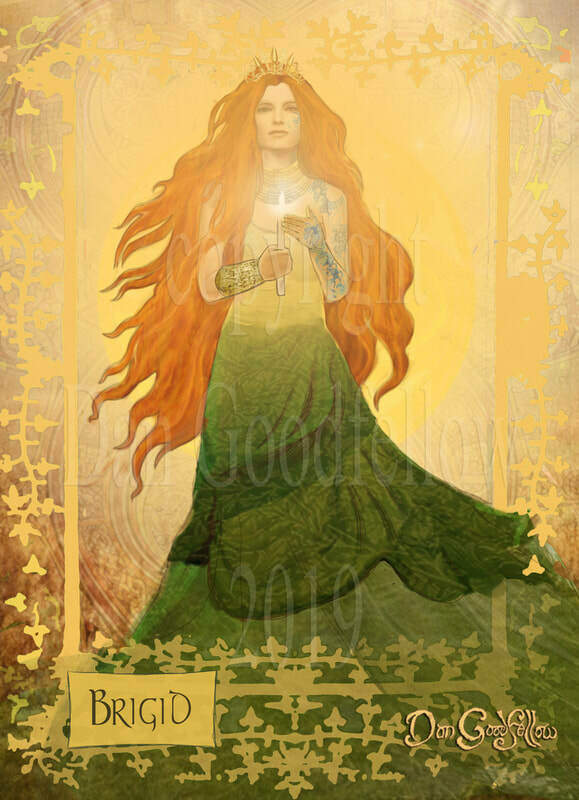 As we start 2019 here's the latest in my Celtic Goddess series 'Brigid'. Click on the image here or on the Celtic Goddess page to find links to prints, cards and lots more on Red Bubble. Available 27th Oct 2017 , "Gwyn Ap Nudd . Wild God of Faerie, Guardian of Annwfn" by Danu Forest with a cover and interior illustrations by Dan Goodfellow .This amazing exploration of deep celtic lore and underworld tradition was an absolute honour to illustrate.